Welcome to the South-africa itineraries page! Africa is a huge, huge continent and each area of each country, and even the camps in these areas offer completely different experiences. The beauty of it’s diversity though is that there is definitely an itinerary out there for everyone. We have been crafting tailor made trips for over 20 years now, so really do know out stuff. It can therefore be a good idea once you have had a browse through the itineraries to give us a call for further discussion with an expert who has recently visited the lodges & areas in question… Although we keep our website updated and try to make it as comprehensive as possible, first-hand experience is a much better indicator of the real-time quality of a camp! We can craft any itineraries to suit you entirely, providing that it is all logistically possible with your time frame and budget. So please note this page is merely here to give you an idea of some of our favourite combinations. We hope this serves as a useful tool for not just inspiration, but so you can work out the kind of trip you can get for your budget and time frame. All of our 50 itineraries are tailor made for each individual client, according to their budget, requirements and preferences. We don't sell pre-packaged trips of any kind. However, in order to show you how some of the different elements can fit together, and some of the kinds of trips that previous clients have taken, we set out here a few example itineraries. These are for illustration purposes only and should not be read restrictively. Your trip can include elements of any combination of any of these itineraries - the only limitations are your budget and your timeframe! Adventure - This is still not camping as we know it! Expect here rustic, but comfortable and authentic accommodation. 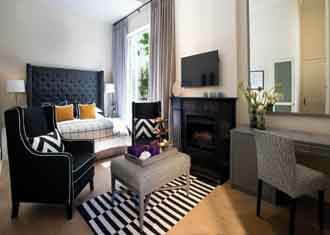 No frills, but no compromising on still exceptional levels of comfort and service. Classic - A step up from adventure, this is a perfect style for those who are after a barefoot luxury experience. With very high quality camps, but no super luxury frills. Premier - For those who are lovers of luxury... Not much is missing on these trips! Expert - If you are after the very best the country has to offer, this is for you. Private pools, butlers and even private safari parks... This is the creme de la creme of African Holidays. Great Value east coast of South Africa safari and beach adventure. Between November and February Turtles will be nesting on the Rocktail Bay beach. 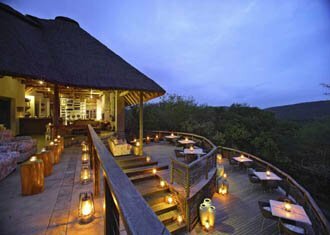 Mountain Lodge is the southernmost lodge on the reserve set on top of a small hill with great views across a patch of open savannah. Amazing value South African safari and Mauritius beach. 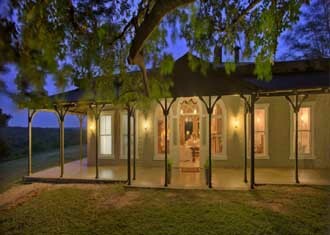 &Beyond’s Kirkmans Kamp is located in the Sabi Sand Game Reserve to the West of the Kruger National Park. This area of South Africa is well respected as being one of the best game viewing areas on the planet and with &beyond being one of the most luxurious operators in Africa, you can guarantee a seriously good game viewing experience. Not as luxurious as the nearby Londolozi, what really sets these lodges apart from their competition however is their price and quality of guiding. Superb value for money considering the level of accommodation on offer. Belle Mare Plage is a big hotel, with just over 200 rooms, but with a huge footprint along a seriously stunning expanse of beach, you are guarenteed private moments and enjoy extremely good service. The Cape Grace takes pride of place in Cape Town; this hotel has the location of all locations! 5 star luxury, beautiful views over the harbour and Tabel Mountain make the Grace one of the finest hotels in South Africa and arguably the very best hotel in Cape Town. A location to beat all others and an incredibly efficiently run hotel…..seriously good! A refreshing, inspiring and wonderfully different take on the winelands. This is a place to visit, and a place to travel back to in its own right. The new wine tasting rooms, with bakery, cheeses and meats promises to make Babylonstoren a must on all driving tours of this region. Phinda Forest is found in the north of Phinda set in the ancient Sand Forest. A great road trip combining Cape Town, Garden Route and Safari. 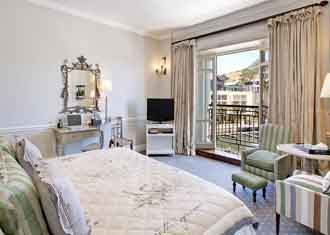 A charming luxury hotel in the heart of ‘Capetonians’ Cape Town, Gardens, the area has a great local atmosphere and provides a perfect base from which to explore Cape Town’s sights. The Plettenberg is stunning Relais & Chateaux hotel found on the rocky headland of the spectacular beach town of Plettenberg Bay. The Plettenberg probably boasts the best views over the bay and ocean but has the price tag to match. Pezula Castle as it is also known is a quirky, upmarket hotel perfect for an active family, in fact, there are so many activities on offer here that just sitting back and admiring the rather lovely view often leaves you with a pang of guilt. Kwandwe is a 22 000 hectare game reserve two hours’ drive to the north of Port Elizabeth. 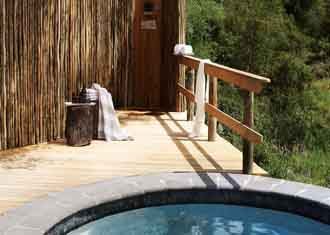 This is a great malaria free safari option to combine with an itinerary featuring Cape Town and the Garden Route. And now for something completely different. 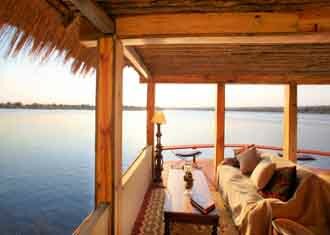 A combination of Victoria falls, desert safari and wild and secluded beach. Built years ago in a design that was totally unique across Africa, Tongabezi is an old favourite due to its longstanding fresh approach to lodge design. They then continued to give our clients unbelievable stays - we even had a phrase in the office which described clients best trips as ‘Tongabezi moments’! Tswalu is a fantastic selection of world class game viewing lodges and wild reserves that we believe is the finest location in South Africa for authentic safari. Different to the more famous Kruger, Tswalu is a huge private game viewing area with a fine selection of big game and a character similar to the safari you find in much wilder destinations. Tswalu is also a superb destination for families. Tsarabanjina is a real gem in the jewel box, a spectacularly lovely desert island with powder soft sand, heart-spinning sparkling waters, secret pathways, rocky coves, stupidly coloured birds, and superb snorkelling and diving. Part of the Mitsio archipelago of islands, Tsarabanjina is 70km north of Nosy Be, and about as far from anywhere as you could ever imagine. A great and varied adventure. Safari, desert and Cape Town in pure luxury. &Beyond Sossusvlei Desert Lodge is a fantastic property that carries the high standards we have come to expect from an &Beyond property. 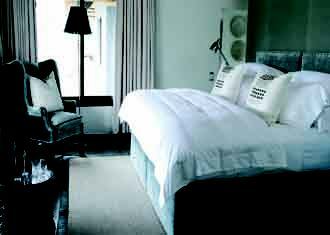 Ellerman House is one of Cape Town’s most famous hotels. Very different from the likes of the Cape Grace and Mount Nelson, Ellerman House is a small, discreet, very luxurious boutique hotel which invites guests who are looking for a quiet and more private Cape Town stay. Overlooking the Atlantic Ocean from above Bantry Bay, the setting is spectacular, with just a short drive to the Waterfront and a short walk to the beaches of Clifton or Camps Bay. With a range of rooms and prices, you have to be a little careful what you book here, but the service levels are exceptionally high throughout. An absolutely cracking hotel. 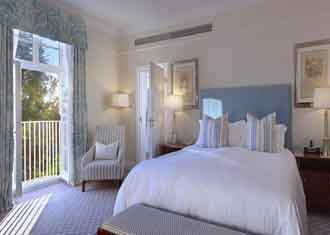 The Mount Nelson is another of Cape Town’s most famous 5 star properties. Located in a superb part of the city with good access to the cities main attractions, the Mount Nelson is the colonial option for travellers wanted to step back in time and soak up the history of early colonialism. The Mount Nelson is 5 star luxury but at a decent price. Our only issue with this hotel is that its somewhat stuffy characteristics and atmosphere make it a hotel a limited market. Located close to Singita Boulders, Singita Ebony is a much more traditional camp than its super famous neighbour and is therefore not quite regarded as the same level of camp. The reality however is that Boulders is regarded as one of Africa’s finest camps so Ebony will always be in its shadow. Make no mistake, this is a seriously good safari camp with the same levels of service and hospitality as Boulders. Located in the Kruger National Park itself, Singita’s Lebombo is the most contemporary of all the South African Singita lodges and one of the most unique designs of any safari lodge. Recognised as having exceptional levels of service as well as seriously good game viewing, Lebombo is world class and deserves to be placed amongst South Africa’s finest properties. Londolozi's Granite Camp is one of the finest game viewing camps justifiably famous for the very good leopard viewing Granite is Londolozi’s private camp property and one of the Sabi sands most luxurious properties. Royal Malewane is located in a private game resereve outside of the Kruger National Park. Regarded as one of Africa’s most luxurious lodges, this place is arguably on another level completely. The accommodation here would rival any other hotel on the planet and with great game viewing this is one of the best safari hotels for those of us looking to be pampered. A truly sumptuous lodge where nothing is left out. An elegant “beach chic” property on the shores of the Indian Ocean in Southern Mozambique. White Pearl epitomises laid back luxury with a private plunge pool in each suite, lots of chill out areas and endless deserted sandy beaches. The benefit of this area is that you can swim in the ocean from the lodge throughout the day as there is little tidal difference.